Salary increases are expected to remain stable at 3.0% again in 2017. Is your company set to give raises this year? If the ‘big talk’ is coming up where you will be addressing employee compensation, first do these 5 things to ensure nothing falls by the wayside. Open the communication channel up to your employees. Request specific and quantifiable examples of merit beyond the basic job duties and descriptions. This forces your employee to reflect on their individual performance in order to substantiate the raise. Encourage them to get granular with their presentations and proof. For example, instead of saying “I increased traffic” you might ask them to include the percentage and how it had an impact on their department or the company as whole. Give yourself a leg to stand on. Using public salary data, you can easily determine the baseline level of compensation. Remember to include the employee’s current responsibilities rather than relying solely on the job description they were hired to. Find that you are providing below-average compensation? This may be the best case for a raise. Not a stable enough time for a percentage increase? Explain the situation to your employee with transparent and honesty at the forefront of your mind. Do you wish you could give your A players a raise? If there’s no money in the budget, tell them so. Think of non-traditional ways for compensation. A one-time bonus or non-financial avenues are worth exploring. Could you work in a work-from-home situation one day a week? A ticket to an educational conference? A team lunch and an afternoon off? There are plenty of ways you can show your employees they are valued without breaking the piggy bank. After all, employees aged 18-34 and 35-44 prefer benefits or perks to pay raises, compared to those aged 45-64. 32% of all employees want to see and understand the progress they’ve made toward goals set by their manager. Set goals for next time. Agree to re-examine the situation when financial circumstances improve or after set goals have been hit. Express avenues to get a promotion or a pay raise. Always be open about learning experiences and ways employees can develop and grow. The end goal of your current performance management system is more feedback on a regular basis. Only 14% of organizations are happy with their performance management system. Implement the steps to create and maintain a feedback culture. Give more feedback, and be open to receiving feedback yourself. 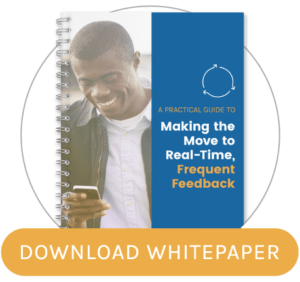 By moving towards ongoing feedback, you will reinforce positive behaviors, nip bad habits in the bud and can more regularly deliver insight into how each team member can grow and excel in their jobs. Before the ‘big talk’ take the time to reflect. Do you research, prepare what you’re going to say and be as open as possible. Setting expectations, using the facts and planning for what’s to come is a sure-fire way to ensure fair raises. Need an all-in-one performance management tool for ongoing feedback? Demo iRevü’s simple and effective feedback platform.